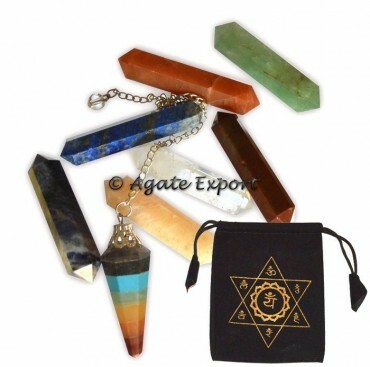 7 Chakra Terminated Pencil Set With Pendulum Kit from Agate Export is used for healing purpose. Move the pencils pr pendulum on the body while especially focusing on the chakras. You will feel energy flowing in your body.